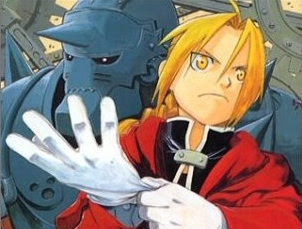 Just when I thought FMA Brotherhood is going to last far longer than the original anime, given that it surpassed the number of episodes, I learned the manga which it is based on is ending in June. It says that the final chapter of the manga was already delivered to the anime production and script development is under way. Further, there's only two months left. Sadly that means the anime will end as well. On one hand I'd like to see it end with a perfect finale. On the other hand I am wishing that this 'Amestris arc' is just part of a bigger story. There are other stories needed to be told: the country of Xing and Drachma, the future of Amestris without Father, among others. A 'filler arc-hater,' I can't believe that this time I am hoping the anime staff will write their own story as there are no manga counterparts to base it on anyway.